While we're still waiting on an official announcement for the HTC One X+, the rumored smartphone has just made its first appearance with the FCC. An FCC filing showed up today for a smartphone model PM63100, the same model number previously used in the benchmark listings that first revealed the HTC One X+. The model submitted to the FCC appears to be an AT&T handset, using the carrier's LTE bands 4 and 17. It also sports LTE bands 2 and 5, which are only used by Metro PCS and carriers in South Korea. 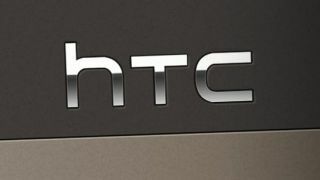 As was previously leaked, the HTC One X+ will allegedly use a Nvidia Tegra 3 quad-core 1.7GHz processor. It's also said to run on Android 4.1.1 Jelly Bean and sport 1GB RAM, 32GB of memory, and a 1800mAH battery similar to the original One X.
HTC is now gearing up for its event on Sept. 19 where the HTC One X+ may finally see the light of day. In addition to the powerful smartphone, the company is expected to reveal their "unique" tablet or even possibly the HTC Proto.